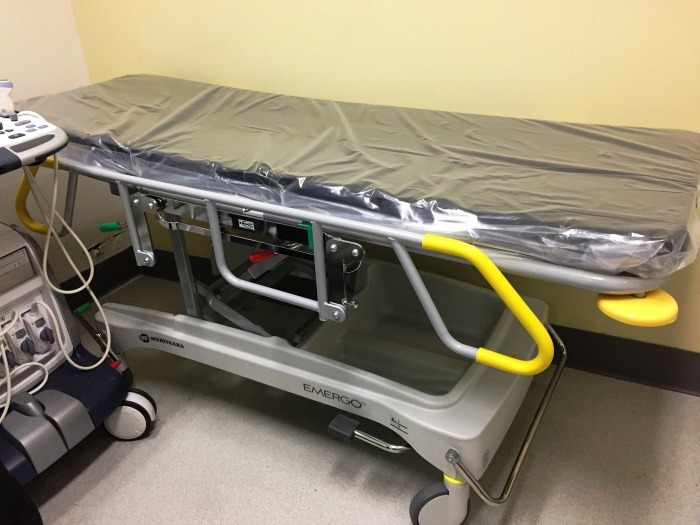 The medical imaging department at Delta Hospital has two new ergonomically sound ultrasound stretchers and it has the Delta Hospital Auxiliary to thank. Late last month, the stretchers, at a cost of $11,500, were delivered to the hospital. Hochstrasser said a high percentage of B.C. sonographers report musculoskeletal injuries at some point. He said medical literature suggests that 80 per cent of sonographers seek medical treatment for these kinds of work-related injuries.